Like most Caribbean destinations, St. Lucia is wonderful for relaxing in the sand or playing in the waves, with 2 distinctive mountains, the Pitons, on its west coast. It's known for its beaches and reef-diving sites, as well as its rain forested interior with waterfalls such as at Toraille. 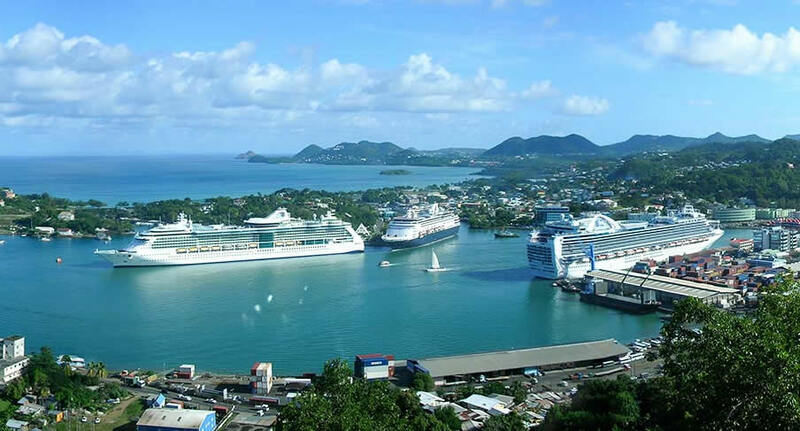 It's home to quiet volcanic beaches and fishing villages as well as luxurious resorts, and the capital, Castries, is a regular cruise ship stop. Finding a rental car in St. Lucia shouldn't be a hassle. That's why NÜ Car Rentals makes it easy to get a car rental in St. Lucia. Whether you are going to the rolling green hills of Colombier, or the sweeping beaches of Grand Case, NÜ Car Rentals and St. Lucia airport car rental have the car you need. Make your dream vacation complete today with a worry-free St. Lucia car rental from NÜ Car Rentals, and hit the road!